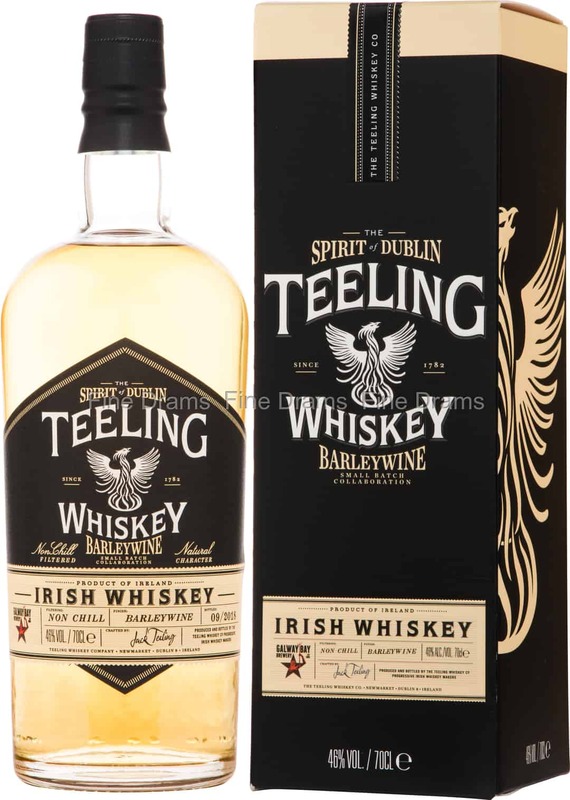 Another of Teeling’s Small Batch Collaborations. This time they’ve kept it Irish by using casks from the highly rated Galway Bay brewery. The whisky has been finished for a time in Barley Wine casks, having initially been matured in former Bourbon barrels. Barley Wine is a kind of very strong dark ale, with a similar ABV to wine, somewhat akin to Bavarian Doppelbocks. The style is one of the oldest beer varieties still extant. The cask has given this whiskey a deep, almost savoury edge with notes of dark malt, rich molasses, cereal sweetness, hops, dark chocolate, coffee, vanilla and caramelized apples. Bottled at 46% ABV and without chill filtration, this is a delightfully full-bodied whiskey. Just 6,000 bottles were produced.